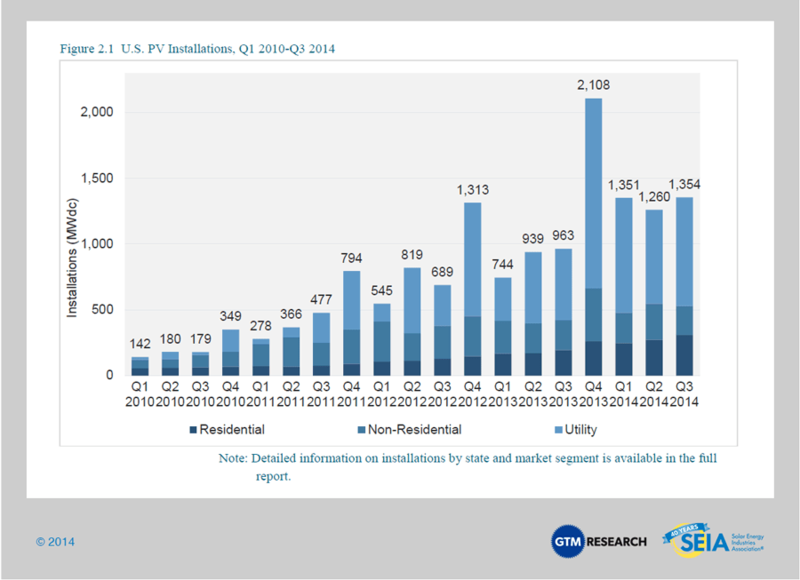 BOSTON, MA and WASHINGTON, D.C. – Continuing its strong growth, the United States installed 1,354 megawatts (MW)[i] of solar photovoltaics (PV) in Q3 2014, up 41 percent over the same period last year. 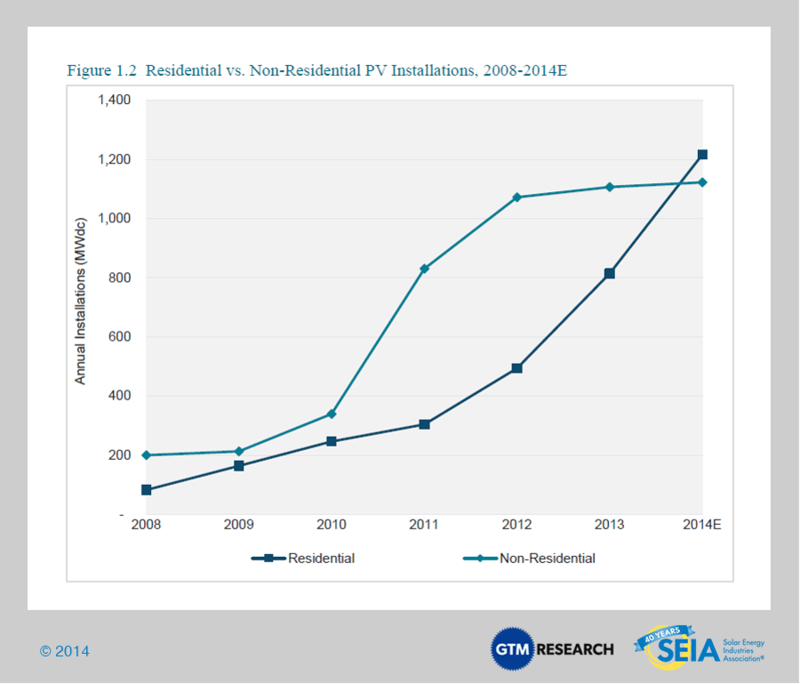 The numbers come from the latest edition of GTM Research and the Solar Energy Industries Association's (SEIA) U.S. Solar Market Insight Report, released today. According to the report, Q3 was the nation's second largest quarter ever for PV installations and brings the country's cumulative solar PV capacity to 16.1 gigawatts (GW), with another 1.4 GW of concentrating solar power (CSP) capacity. Q1 2014 was the largest quarter ever for concentrating solar power (CSP), due to the completion of the 392 MW Ivanpah project and Genesis Solar project’s second 125 MWac phase. While no CSP plants came on-line in Q3 2014, Abengoa’s Mojave Solar (250 MW) achieved commercial operation in December 2014, making 2014 the biggest year ever for CSP.